Kathleen Winter’s first collection of short stories, boYs, was the winner of both the Winterset Award and the Metcalf-Rooke Award. 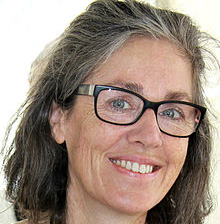 In 2011 she published her first full-length novel, Annabel, which has been sold in 15 countries and received major international recognition, including nominations for The Orange Prize, The Scotiabank Giller Prize, The Governor General’s Literary Award, and the Writer’s Trust Prize. In 2014 she created an inspirational travel memoir, Boundless, which was nominated for the RBC Taylor Prize, the Hilary Westin Prize for Nonfiction, and the Mavis Gallant Prize. In the same year, she published her second collection of stories, The Freedom in American Songs, which was chosen as a Globe & Mail Top 100 Book of the year. A long-time resident of St. John’s, Newfoundland, she now lives in Montreal.